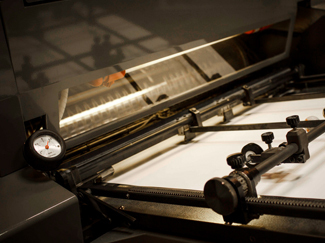 Rink Printing Company uses state-of-the-art offset and digital print technologies for your products. Contact us to learn more. We will make you look very, very good. Count on it. Printed items remain a critical foundation of all communication plans. Print will inform, impress and share information in exactly the manner your plan requires. Print can be a tool, a jump-starter of ideas and will support all brand and marketing efforts. Both visual and tactile, print promotes trust and validity. We can guide you through the entire process of having fantastic print products. Talk to us about your messaging needs; we have great ideas to offer. Rink Printing Company produces premium quality print products.